I’ve just started a Business and Admin course and am hopefully going to be getting a placement next week which will last 12 weeks. I’m in 9 till 4 every day which will take some getting used to, I usually get up whenever I wake up and haven’t had a proper routine for ages. Early mornings + lazy evenings = a bad blogger, I hope you’ll forgive me! I’m also off to Leeds for the weekend as it’s my friends house warming so I’ll try my best to get some post’s scheduled. This freebie came with Instyle magazine when I went to London for the Eyeko event and has been in my handbag ever since. I really don’t like the smell, it reminds me of old ladies soap. Sorry if that offends anyone! I chose the original as I though it wouldn’t smell of much but I’m regretting not trying one of the other two scents. Did you get any of the other two? Know what they smell like? Let me know! I’ve kept on using it though as it’s a really good hand cream. 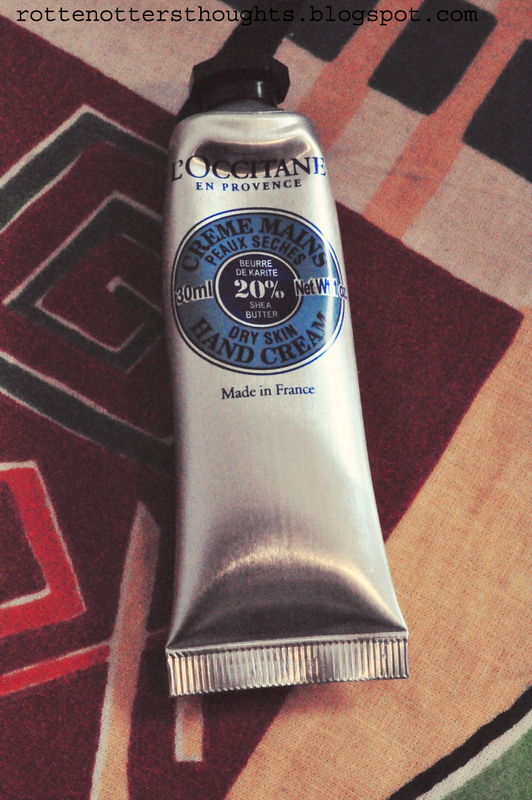 It soaks in literally straight away, better than a lot of other hand creams that I’ve tried, which really impressed me. I have eczema on my hands which can be irritated by some creams, especially in the winter when they are really dry, but this was really gentle. Perfect for my sensitive skin. If I liked the smell I’d buy the full size but for £16 I can’t justify it. Maybe I’ll go into the shop and have a sniff of the others and see if there is one I like better. You can read more about it on the L’Occitane website. Hope you’re having a more relaxed week than I am! Have you tired this hand cream? Or are there any others you recommend?